Ancient evils are awakening and gathering their forces to sweep all before them. 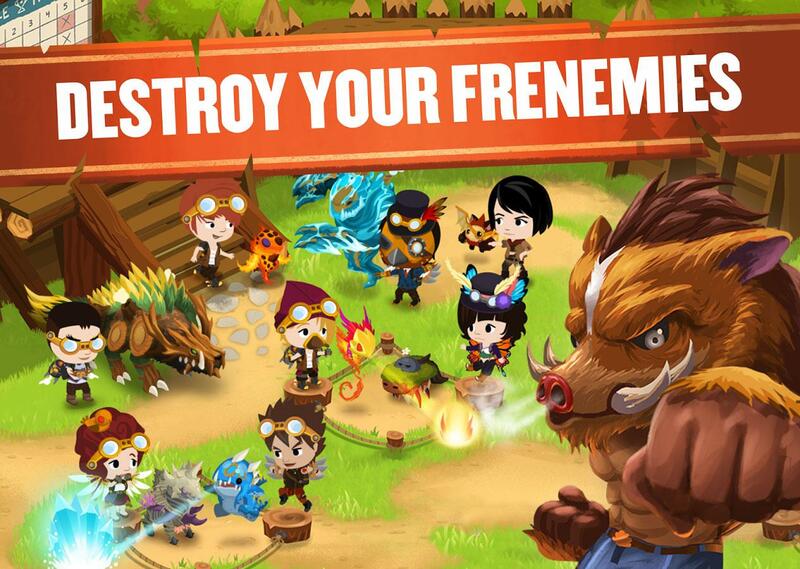 Don your Rangers cap and take control of your own team on monsters to bring the fight to the enemy. Join other Rangers and form Troops to clash with other Rangers for the right to be called the best! “Dare to clash with rampaging dragons and fire-belching warthogs? Then join Battle Camp, a persistent virtual world filled with legendary monsters and ancient evils.” The Play Store sets this game up as something epic and something epic is what it delivers. 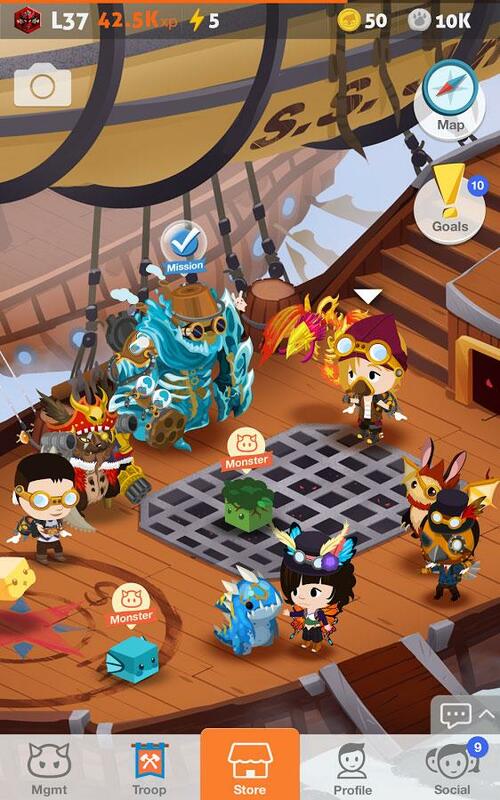 There is no denying the game is not without its faults but the way it seamlessly combines elements of Pokemon and Puzzle Quest keeps drawing players in. The main focus of the game is battling your way through this persistent world, a large would at that. 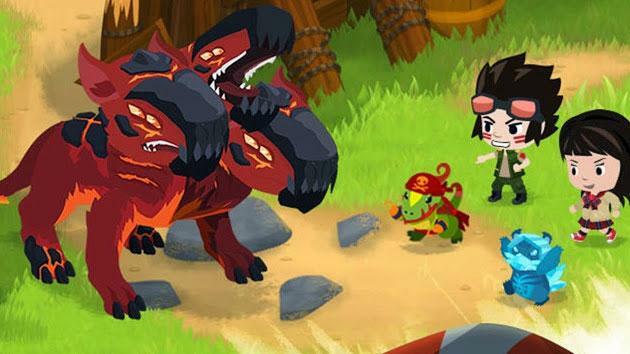 Throughout the game you level your monsters, sometimes by feeding your other monsters to them and otherwise by leveling them via combat. Considering you will have a team of five such monsters to control, level and evolve. The combat phase consists of matching gems which correspond to the monster types you have out to unleash their powers. While you don't have any real choice in your character's abilities you can have access to hundreds of pieces of costume to personalize your look. But the real fun lies in your own team of monsters. This will range from animated rocks to Moonwolfs and Hornheads to Killawatts. Meaning the choice of what you take at your team runs into the hundreds of thousands. As you level and evolve the creatures they will gain extra abilities that will automatically activate against your enemies or to heal you. Do you focus on one type or keep your options open? The choice is yours. As was mentioned earlier you can feed one set of monsters to others to further level your best creatures. Most of these fodder creatures will be ones you capture via battles, just try not to form any attachments to the little critters. Ultimately as you level and your power rating soars you will look for greater and greater fights. Each area of the map you clear comes with its own boss, that you can avoid or attack as you feel like. These creatures are monstrously hard and the fights against them are timed. Further to this you are able to join up with others into troops and fight in whole scale wars against other enemies. Of course no mobile game would be complete without options to spend some real world money to smooth your path and Battle Camp is no different. While the game is fully possible to play without spending anything it does speed the early process up quite a lot. To add further incentive the game has frequent sales meaning you can buy more for less. Looks wise this game is nice and smooth with an overall arching look that ties everything together nicely. It leaves you pushing forward constantly to see what great new look your monster will get as it evolves. The world itself is beautifully formed and has some lovely interactive elements to it. The combat itself involves matching the gems/icons on the battle screen. The aim is to match at least three of a type in a row; which will then trigger damage against the enemy. But the more chains of connections you set up and the more gems you activate at once the bigger the attack will be. Match five and all five of your monsters will attack, leaving to a huge combat bonus. This sort of attack becomes more important as you level up and the creatures you fight become tougher. Battle Camp has a thousand ways to draw you in and keep you there, yes there are some problems with the games PvP matching system but the main game itself is thoroughly addictive. You will find yourself looking at the map to see what area you can move onto next, who needs help and what legendary foes can you defeat next. 800+ monsters, unique avatars and teaming up with other players for giant monthly raids all await you.